Curveball, as a college student. [Source: CBS News]The Iraqi engineering student later known to the US and German intelligence communities as “Curveball” graduates last in his class from engineering school at Baghdad University and is hired to work at the Chemical Engineering and Design Center. 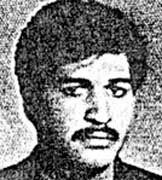 [Los Angeles Times, 11/20/2005] Curveball, identified thirteen years later as Rafid Ahmed Alwan (see November 4, 2007), will tell German intelligence officials that he graduated first in his class and went on to oversee a secret Iraqi bioweapons laboratory. 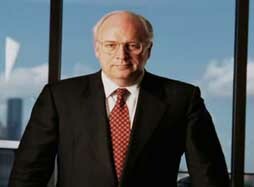 His claims are entirely fictional (see June 2003-Late 2003), but will become a linchpin of the US’s case for the necessity of invading Iraq (see February 5, 2003). 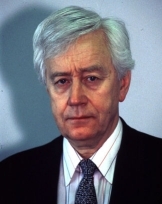 Rolf Ekeus. [Source: United Nations]US intelligence services use United Nations arms controls teams to spy on the Iraqi military, without the knowledge of the UN Special Commission (UNSCOM) that oversees the teams. US intelligence infiltrates agents and espionage equipment into the UN inspection teams. Clinton administration officials have previously admitted inserting eavesdropping equipment into Iraq with the inspectors, but said that they did so in cooperation with UNSCOM to penetrate Iraqi concealment of its illegal weapons. However, US intelligence agents rig UNSCOM equipment and office space, without UNSCOM permission or knowledge, to intercept Iraqi military communications. Most of these communications have nothing to do with UNSCOM’s special weapons mandate. 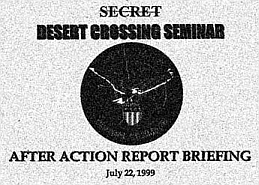 US government officials admit that they considered the risk that discovery of their infiltrations would discredit the UNSCOM teams, but they dismissed the risk as being quite low, and the intelligence gathered on the Iraqi military as critically needed. US Installs Surveillance Equipment During Upgrade - The surveillance begins in March 1996, when UNSCOM upgrades a widespread video surveillance system to transmit signals from the camera to the inspectors’ offices in Baghdad, and terminates no later than December 1998, when the Iraqis ask all UNSCOM inspectors to leave the country. While the new system gives UNSCOM inspectors views of distant facilities in “near real time,” unknown to UNSCOM officials, the US signals and sensor technicians who install and maintain the system have covert transmission systems built into the UNSCOM transmitters that capture the Iraqi communications. The designer of the new system is a military intelligence operative and engineer; two of the technicians who install the system are CIA agents. UNSCOM Says Surveillance Destroyed Its Ability to Function inside Iraq - UNSCOM officials now claim that the covert surveillance undertaken by the US has helped to destroy the agency’s ability to function inside Iraq, and have given credibility to Iraqi claims—previously dismissed—that the US was using UNSCOM to spy on their military facilities. (UNSCOM is aware of another, simultaneous surveillance operation called “Shake the Tree,” that used commercial scanners to intercept Iraqi radio transmissions; US officials now say that they chose to pursue the surreptitious eavesdropping because they wanted to preserve their “independence of access” to Iraqi military communications, according to a US official. “We did not want to rely on a multinational body that might or might not continue to operate as it was operating.” The US government decides not to inform either Rolf Ekeus, the Swedish diplomat who is UNSCOM’s executive chairman, or his Australian successor, Richard Butler, about the second eavesdropping operation. However, the CIA does inform the American deputy to both men, Charles Duelfer, to ensure that UNSCOM staff members do not interfere with the operation. 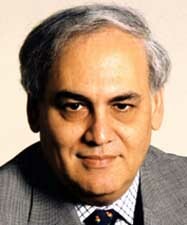 Former Iraqi nuclear scientist Khidir Hamza (see July 30, 2002), who fled Iraq in 1994 and now works at the Institute for Science and International Security, puts together a book proposal with his boss, David Albright, that intends to prove Saddam Hussein’s mission to build nuclear weapons had “fizzled.” The book proposal receives no interest, and Albright and Hamza do not write the book. [Middle East Policy Council, 6/2004] Two years later, Hamda will co-author a book asserting that Iraq is aggressively pursuing nuclear weapons (see November 2000). Leaked by INC - The Aberdeen report is leaked to the Washington Post through officials at the Iraqi National Congress (INC), which the Post will describe as “the principal Iraqi exile opposition group.” Diplomatic sources later confirm the findings, and US government officials will not dispute the conclusion. 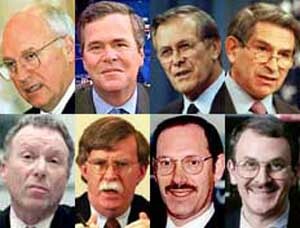 Used to Criticize Clinton Administration - The report gives fresh ammunition to conservative Republicans seeking to target the Clinton administration for what they see as its failure to strongly support UNSCOM weapons inspections and the overthrow of Saddam Hussein. Senate Majority Leader Trent Lott (R-MS) will write in response to the report, “The latest example of a failed policy toward Iraq will not be swept under the rug.” Lott will write that he and other Republicans may use the issue to derail the Senate confirmations of US ambassador to the UN Richard Holbrooke and Energy Secretary Bill Richardson. 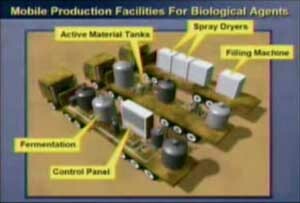 Report Disproven - Further research will disprove the Aberdeen test results, and conclude that Iraq had not, in fact, packed warheads with VX nerve toxin (see July 1998). Congressional conservatives receive a second “alternative assessment” of the nuclear threat facing the US that is far more to their liking than previous assessments (see December 23, 1996). A second “Team B” panel (see November 1976), the Commission to Assess the Ballistic Missile Threat to the United States, led by former Defense Secretary Donald Rumsfeld and made up of neoconservatives such as Paul Wolfowitz and Stephen Cambone, finds that, contrary to earlier findings, the US faces a growing threat from rogue nations such as Iran, Iraq, and North Korea, who can, the panel finds, inflict “major destruction on the US within about five years of a decision.” This threat is “broader, more mature, and evolving more rapidly” than previously believed. The Rumsfeld report also implies that either Iran or North Korea, or perhaps both, have already made the decision to strike the US with nuclear weapons. Although Pakistan has recently tested nuclear weapons (see May 28, 1998), it is not on the list. Unfortunately for the integrity and believability of the report, its methodology is flawed in the same manner as the previous “Team B” reports (see November 1976); according to author J. Peter Scoblic, the report “assume[s] the worst about potential US enemies without actual evidence to support those assumptions.” Defense analyst John Pike is also displeased with the methodology of the report. Pike will later write: “Rather than basing policy on intelligence estimates of what will probably happen politically and economically and what the bad guys really want, it’s basing policy on that which is not physically impossible. This is really an extraordinary epistemological conceit, which is applied to no other realm of national policy, and if manifest in a single human being would be diagnosed as paranoia.” [Guardian, 10/13/2007; Scoblic, 2008, pp. 172-173] Iran, Iraq, and North Korea will be dubbed the “Axis of Evil” by George W. Bush in his 2002 State of the Union speech (see January 29, 2002). According to US intelligence sources, Farouk Hijazi, the Iraqi ambassador to Turkey, visits Afghanistan in late 1998 after US cruise missiles are fired on al-Qaeda training camps following the bombings of the US embassies in Kenya and Tanzania. Hijazi, who is also a longtime intelligence officer, meets Osama bin Laden in Kandahar and extends an offer from Baghdad to provide refuge for him and Taliban leader Mullah Omar. Bin Laden reportedly rejects the offer because he doesn’t want his organization dominated by Saddam Hussein. After the 9/11 attacks, proponents of invading Iraq will claim the visit makes Hijazi a key link between Saddam Hussein and al-Qaeda. 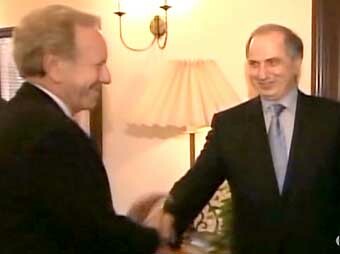 Hijazi will be captured by US troops in late April 2003 after the US/British invasion of Iraq begins. [Guardian, 2/16/1999; Associated Press, 9/27/2001; Knight Ridder, 10/7/2002; Associated Press, 4/25/2003; Associated Press, 7/13/2003] However, in 2006, a bipartisan Senate report will conclude that Hijazi did meet with bin Laden, but in 1995, not 1998 (see Early 1995). Congress allocates $10 million “to support efforts to bring about political transition in Iraq, of which not less than $8 million shall be made available only to Iraqi opposition groups designated under the ILA [Iraq Liberation Act of 1998] for political, economic humanitarian, and other activities of such groups, and not more than $2 million may be made available for groups and activities seeking the prosecution of Saddam Hussein and other Iraqi Government officials for war crimes.” President Clinton signs the appropriation bill into law on November 29. [US Congress, 11/29/1999 ] This $10 million dollars is the first allocation of funds to Iraqi opposition groups out of the total $97 million that was authorized by the 1998 Iraq Liberation Act (see October 31, 1998). 9/11 hijacker Mohamed Atta arrives in the early morning in Prague, Czech Republic, by bus from Cologne, Germany. He plays on slot machines at the Happy Day Casino, then disappears. It will never be discovered where he sleeps in Prague. He takes the midday flight to New York the next day (see June 3, 2000). [Czech Radio, 9/3/2004] After 9/11, this trip will fuel the controversy over whether Atta meets an Iraqi agent in Prague in 2001 (see April 8, 2001 and September 18, 2001-April 2007). It is not entirely clear why Atta chooses to fly to the US from the Czech Republic, although 9/11 mastermind Khalid Shaikh Mohammed will be reported to have lived in Prague in the late 1990s (see Mid-1996-September 11, 2001). During the first presidential debate between George W. Bush (R-TX) and Al Gore (D-TN), Bush accuses Gore of advocating a policy of aggressive foreign interventionism, a policy Gore does not support, but which Bush does (see December 2, 1999 and Spring 2000). “The vice president and I have a disagreement about the use of troops,” Bush says. “He believes in nation-building. I would be very careful about using our troops as nation builders” (see March 19, 2003). (Apparently, Bush is conflating the idea of foreign interventionism with the concept of nation building, two somewhat different concepts.) [Unger, 2007, pp. 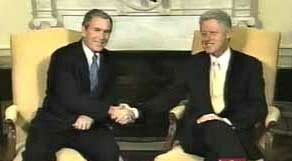 175-176] Bush will reiterate the claim in the next presidential debate (see October 11, 2000). Entity Tags: George W. Bush, Albert Arnold (“Al”) Gore, Jr.